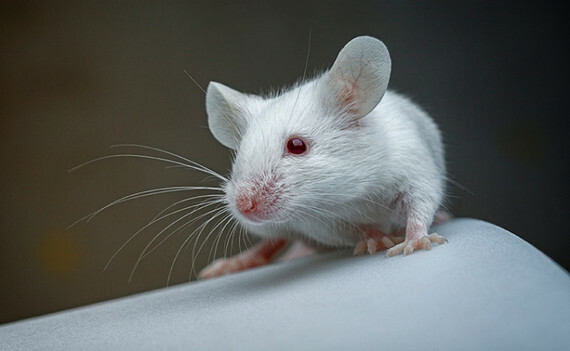 Scientists turned a mouse's bad memories into happy ones with a pulse of light, and cured other mice of peanut allergies by dosing them with Clostridium bacteria. Married couples who smoke marijuana more than once a week were revealed to have the lowest rates of domestic violence. One in seven people suffer from "sleep drunkenness." Richard III's bones show traces of a rich diet including wild birds and freshwater fish. Is the universe a vast hologram? Fermilab researchers intend to find out by measuring the "quantum jitter" of space. Scientists discovered the fossil of the oldest known animal with muscles, snapped a photo of two galaxies colliding 7 billion years ago, and solved the mystery of Death Valley's "wandering stones": panes of ice breaking off from frozen lakes act as sails that allow wind to push the giant rocks through the mud, leaving behind nothing but snaky trails gouged in the ground. New subsurface maps of the area around Stonehenge suggest that there are 15 other monuments lying around and underneath the ancient stone structure. British researchers found a way to model the movements of sheep-herding dogs in an algorithm. Breakfast may not, in fact, be the most important meal of the day when it comes to weight loss. Stressed women burned fewer calories than mellow women. You probably have mites on your face right now. Yawning is contagious in wolves. 'This Week In Science' is presented by the World Science Festival, an annual celebration of science in New York City. To see engaging scientific conversations, learn about new discoveries and more, check out the Festival website.